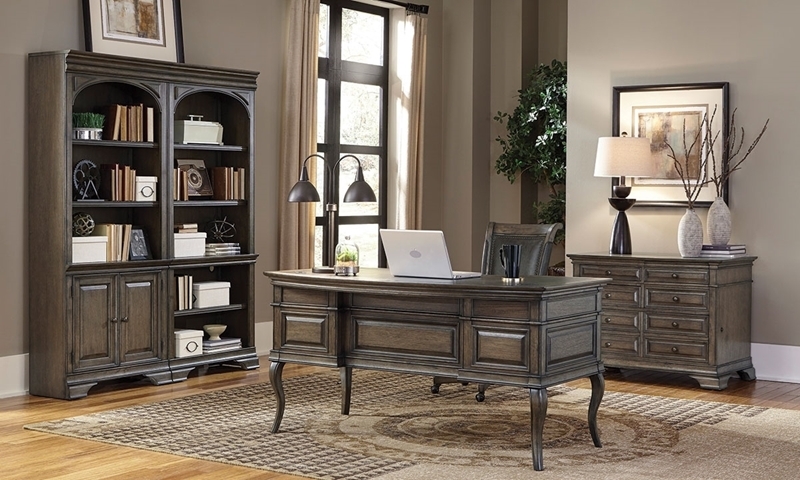 aspenhome offers a timeless take on a vintage design with the Arcadia half pedestal desk. This 61-inch piece showcases paneled sides atop cabriole-style legs. Four dovetail drawers on full extension guides offer utility and organization options, while a Partner’s curve in the center provides ergonomic comfort. Aged copper knobs and a bonded leather top inset complement the wire brushed truffle finish of this traditional desk.